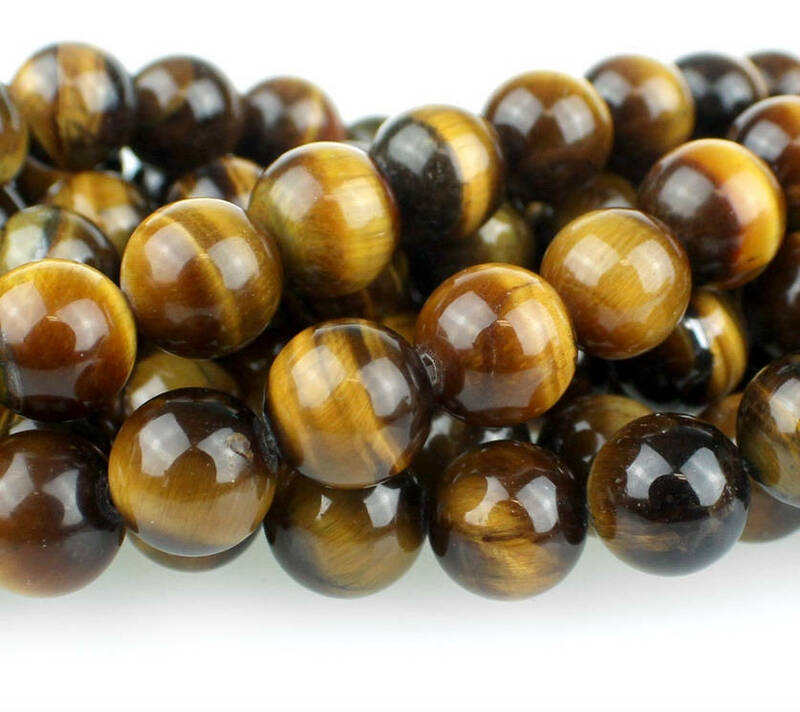 Tiger Eye 10mm round beads, approx. 19 beads per 8 inch strand. Color and size variations possible. Tiger Eye is a variety of quartz which is chatoyant because of parallel intergrowth of quartz crystals and altered amphibole fibers that mostly turn into limonite. It has been used to enhance wealth and vitality. Mined in North America. Mohs hardness 7.